The Pearl PFP-105ES Piccolo is a vibrant and expressive instrument ideal for intermediate players. 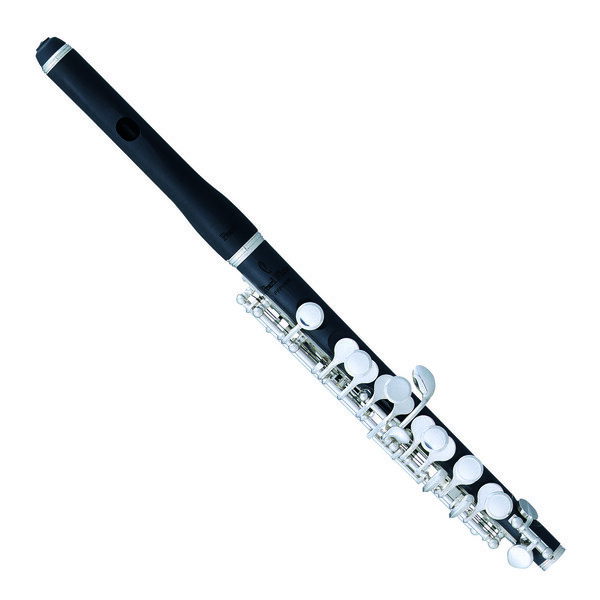 Featuring a Grenaditte composite body and headjoint, along with the ergonomic Split E mechanism for improved playability, this high quality piccolo is versatile, responsive and fun to play, sure to satisfy most any player. Designed with playability in mind, the piccolo's Split E mechanism allows you to play the difficult top E - typically a weak sounding and unreliable note - with far greater ease and consistency. The PFP-105ES is also made using Pearl's innovative Pinless construction and One-Piece Core Bar, providing it with an extremely comfortable feel, as well as preventing many of the usual wear and tear problems associated with traditionally made flutes.